Contact Roz at Claws N Paws Rescue to express your interest. Oh what a big, beautiful, bouncy boy! 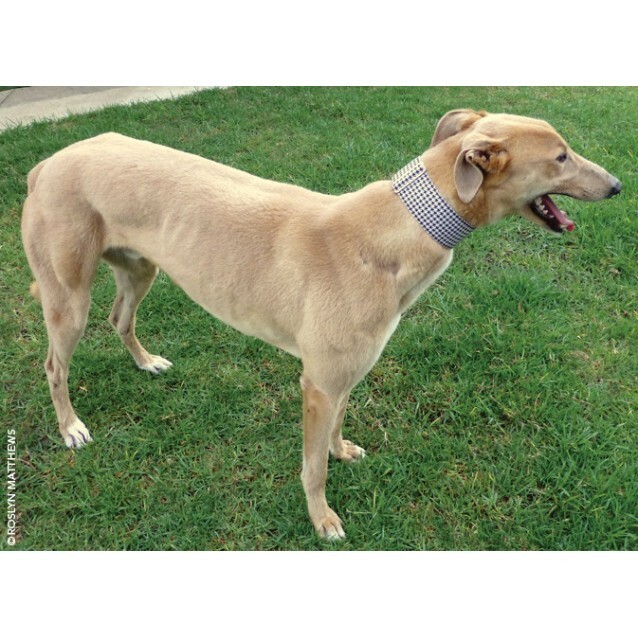 Bailey is a handsome, champagne-coloured greyhound with mesmerising, deep brown eyes that convey a softness and vulnerability belying his strong physique. This upbeat young man has an exceptionally lovely nature – he is extremely friendly and engaging. 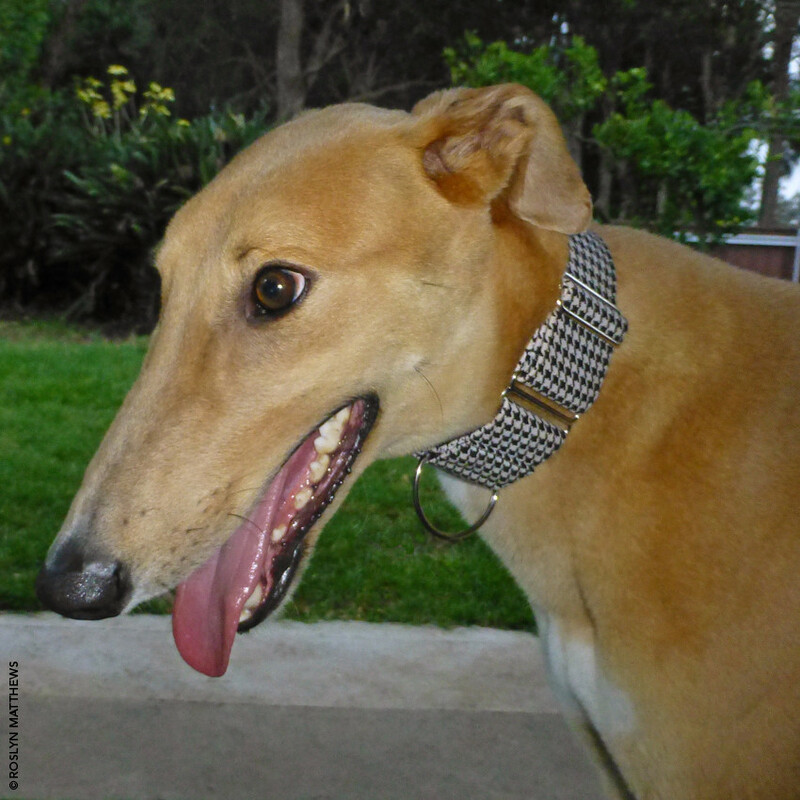 Bailey is looking for his best friend (or few) who will adore him and spend time guiding him into being an amazing companion – he is a gold mine of love and dedication ready to be unearthed. He is a very smart boy who would thrive with the stimulation of going to obedience classes with you. This would create a rewarding bond and reassure him of your support in his development. Bailey would do well having a strong male figure in his family. Bailey LOVES playing with his toys and though he needs a safe, enclosed area to sprint occasionally, he is built for short bursts of energy so doesn't require hours of exercise. A good morning walk sets his day off perfectly, followed by a few ball/rope tosses during the day. Because he is only 2yrs old, impressionable, and desires company – it would be unfair to leave such a joyful, intelligent creature alone during a working day. He is definitely an 'indoor' dog, unless you are playing outside with him. 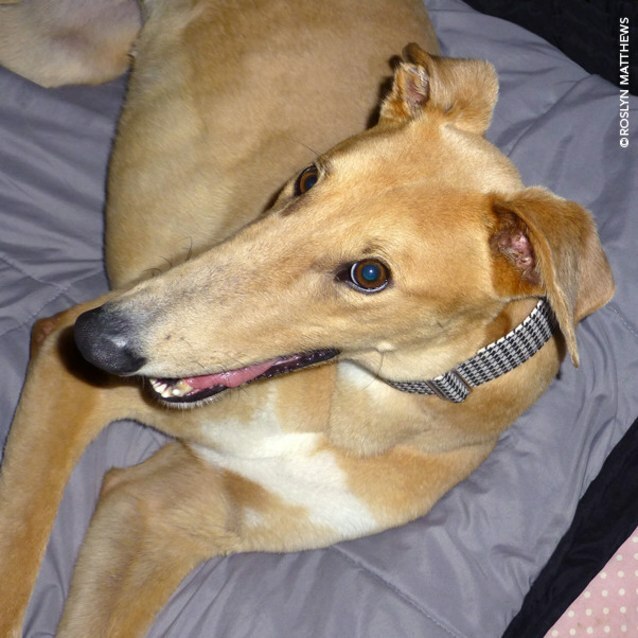 He has impeccable manners inside and will expect a big, soft, cosy bed to sleep in. Bailey loves kids, but because he is a big boy and doesn't know his own strength, slightly older kids may suit him best (bigger than toddler). He has a particular affinity with males. Bailey has been meeting other dogs and is very social, albeit a bit enthusiastic! At the moment he is a bit too bouncy to be around small dogs but this can be addressed by taking him to classes. He is untested with cats, but does show interest from afar. He enjoys the odd dip in a calm ocean and loves splashing in his paddle pool. 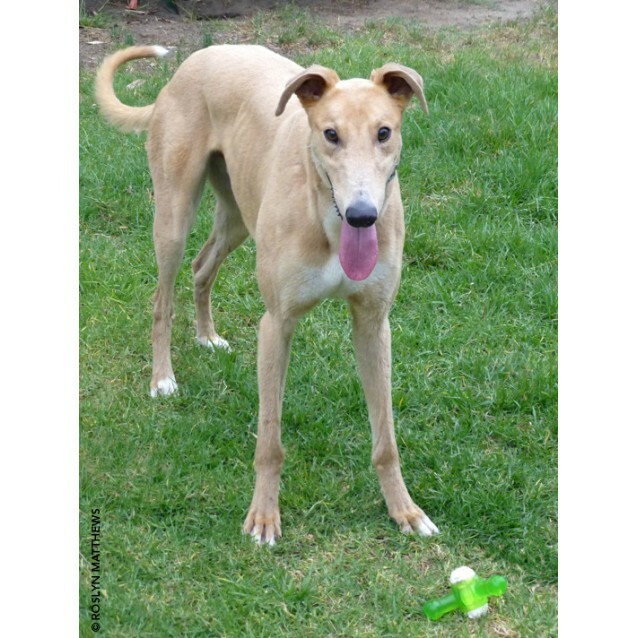 Bailey is a delightful young man waiting to embrace a new life full of fun, frolics and togetherness. Become his best furever friend, join in his adventure and make this big boy's eyes sparkle! 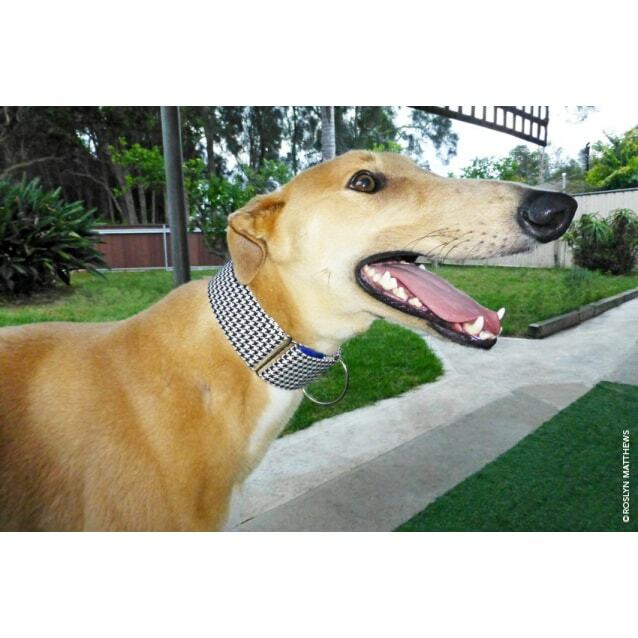 If Bailey's's profile suits your lifestyle, please contact us for more info and arrange to come and meet him. He is located in Woy Woy. 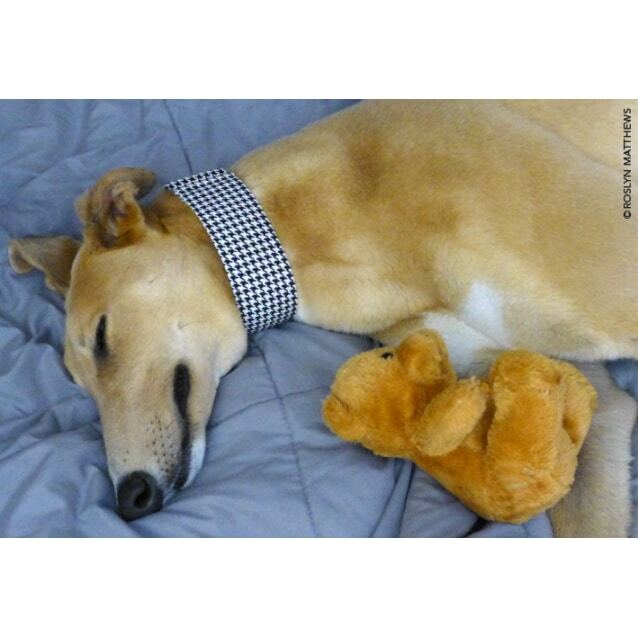 Greyhounds are gentle, highly sensitive dogs that will surprise you with their ability to love and engage. It is expected that you will provide patience, love and encouragement to assist with the transition from life in a race kennel to becoming a pet and cherished part of the family unit. They are mainly indoor dogs that need comfortable, safe places to sit and sleep so you must be prepared to accommodate this via suitable bedding and warm clothes in cooler months. They are low-shedding, and good for people with allergies. A safe, secure yard is required and they need a walk everyday and/or playtime in the backyard. 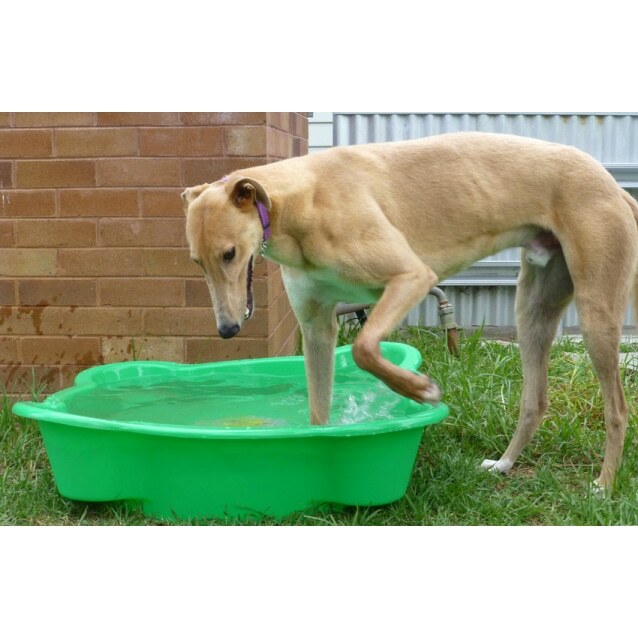 Most younger greyhounds appreciate a clean, uncluttered grassy area where they can do their 1-minute 'zoomies' a couple of times a day.